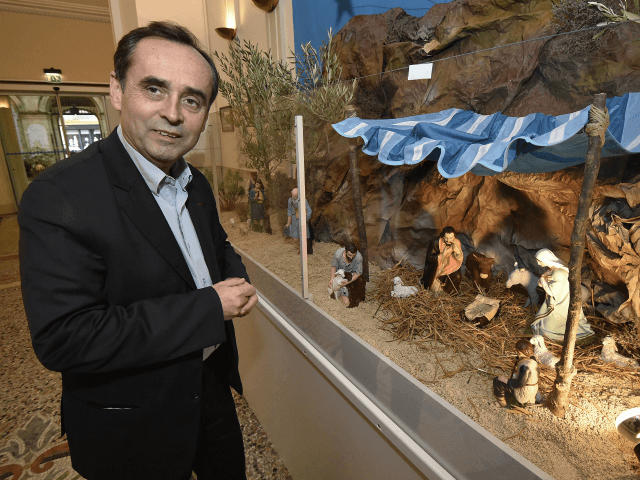 The move will likely allow Ménard to get around the ban as a judgement from 2016 stated that nativity scenes were allowed in public buildings if “special circumstances show that the installation is of a cultural, artistic or festive nature”. Since 2015, the nativity has been accompanied by a large Christmas tree as well as a letterbox for children to post letters to Father Christmas. The controversy is not the first for Ménard who, while not being a member, is supported by the populist Front National. Earlier this year, he was fined 2,000 euros because he mentioned the demographic changes in local schools. “In a class in the city centre of my town, 91 per cent of the children are Muslims. Obviously, this is a problem. There are limits to tolerance,” he said and later mentioned the “Great Replacement”, a term for rapid large-scale demographic changes coined by French author Renaud Camus. Last month, the French administrative courts made a similar ruling when they ordered a cross above a statue of former Pope John Paul II to be removed.